Finally, the moment has arrived! There are so many new products being released right now and I've been eyeball-ing them all up on social media. Seriously, it feels like almost every day that a brand tweets "guess what's launching next week!" 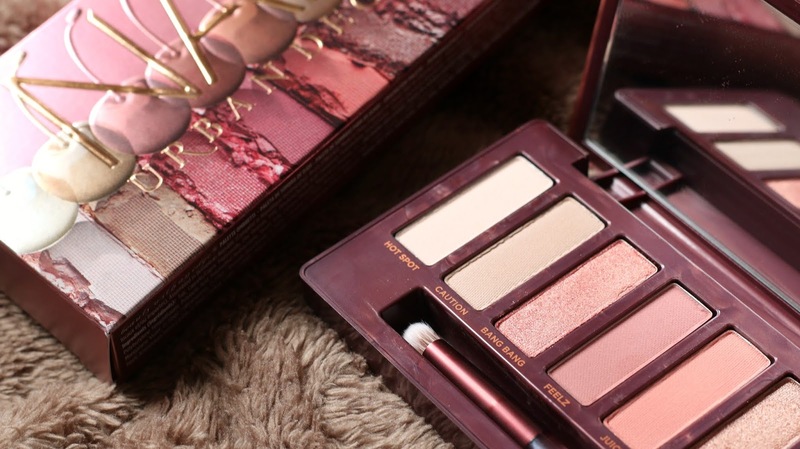 And while there are so many that grab me and get me drooling, there is always one brand that knows how to have me heart eye-ing like no other, and that is Urban Decay. They just know how to do makeup extremely well and when they announced their latest addition to the Naked line, Cherry, I just knew I had to get my hands on it. I'm a huge fan of the Naked 3, Ultimate Basics and Heat, and this palette looked so different from them that I was desperate to give it a go. Luckily for me, Urban Decay held a 48 hour early access sale for the palette and I jumped in there with my 10% UNiDAYS discount (love you UNiDAYS! ), and sat eagerly by the front door, waiting for it to be delivered! Of course, as soon as it arrived, I did a little Insta-story of the unboxing, but I wanted to do a full first impressions post for you! Maybe you've seen this palette on social media too and were wondering whether you should pick it up. Or maybe you're just a bit nosey like me and like to read about people's opinions. But you guys know I love writing a first impressions-style post, so let's jump right into it! 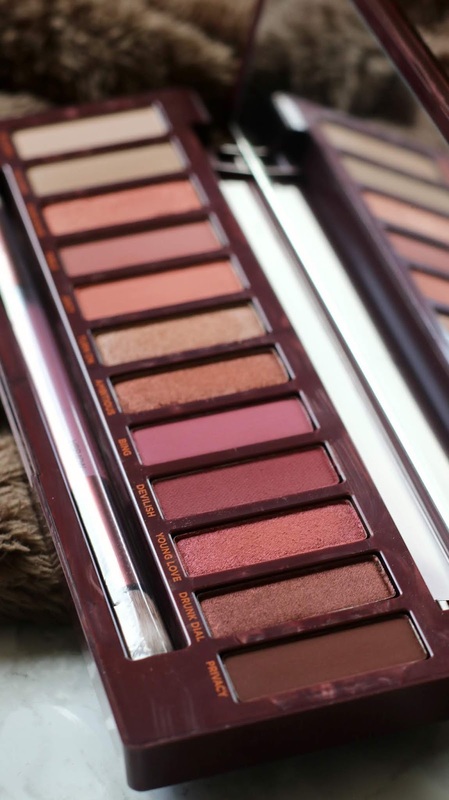 One thing that I love about the later Naked palettes like the Naked Heat and Smoky is that the packaging feels much more sleek and mature than the earlier palettes, and the Cherry fits right into that. As you can see from the image above, it's a rectangular palette with a strong magnetic closure, making it perfect for throwing into a travel bag without worrying about it opening and covering everything in eye shadow. 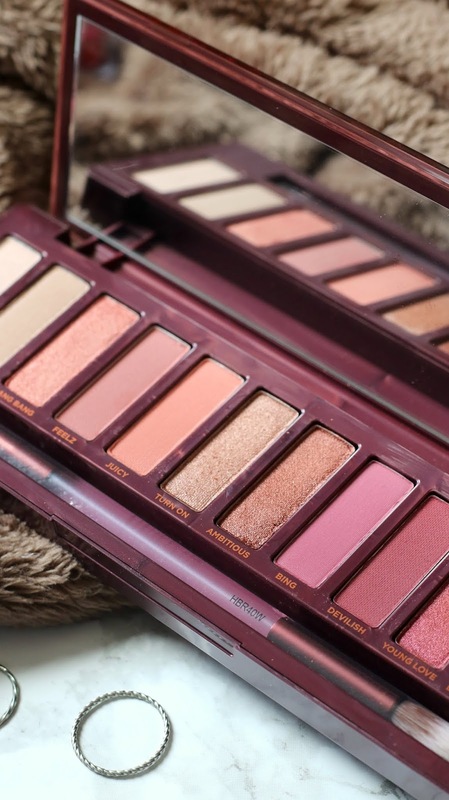 It's a chunky plastic palette and features a similar design to the Naked Heat - the metallic bronze Naked logo is slightly raised and sits on clear acrylic over a cherry print. It's really difficult to describe and none of my photos really capture it, but trust me, it gives a really gorgeous 3D effect to the lid. Looking at the outside is all well and good, but we all know that the true magic is inside. When opening the lid, you're presented with the standard 12 eye shadows in the oblong pans that are common to all Naked palettes. These are set in a plum purple plastic base, with the shade names printed below in bronze, continuing that whole juicy, autumn theme that seems to be going on. There is also the double-ended brush that you receive with every Naked palette and while I'm not a huge fan of these brushes, they're perfect for people just starting out with their collection. They're not awful brushes - I just have my own that I prefer to use! So now that you've seen inside the palette, let's have a chat about those colours. As always, I'll be running through each shade to describe the colour, the formula and what I think it would be perfect for. Hot spot - this is a very light, matte ivory shade. This shade is definitely ideal for setting your base or for adding under a bolder colour to help the pigment pop. It's one of those shades that's an absolute must in any palette because of it's practicality. Caution - for me, Caution is the perfect shade to use when doing a no-makeup makeup look as it's just a tad darker than my skin tone. It's a neutral beige matte and again, it'd be perfect for setting the base or even using as a transition shade if you're quite fair. Bang bang - this is such a fun, princessy shade. It's a shimmering pink with a gold shift, so this would be a fab shade to use all over the lid or as the central point in a halo eye. It's honestly beautiful and I can't wait to wear it! Feelz - this dusty rose matte shade is another brilliant transition shade. Used with a light hand, this can be used to create a really soft feminine look, especially when paired with the shade next to it. Juicy - you can't tell me that Feelz and Juicy weren't made to be together. You can create such a stunning spring look (wrong time of the year, I know) by pairing this warm peachy matte with the dusty rose. Turn on - I think this might be my favourite shade of the whole palette because it swatched like butter and looks beautiful. It's a metallic rose gold shimmer that I am gagging to use over my whole lid or in more dramatic looks, like a cut crease. Ambitious - this is another wonderful metallic shade, but this one is more of a rosy bronze. I love wearing bronze shades on my eyes, so this is going to become a staple of mine, I think! Bing - in the pan, this looked like such a scary colour to me and completely so far out of my comfort zone, but I have to admit, I am excited to give it a go. It's a matte fuschia that is fairly bright in comparison to what I'm used to, but I think it could work well as a pop of colour or as graphic liner. Devilish - I think this is my favourite of the matte shades. It's a red-toned plum matte, which is a shade that I love to wear at the time of the year, so I think it'll be gorgeous when applied into the crease for a berry-toned smokey eye. Young Love - this metallic cranberry would love stunning all over the lid when paired up with Devilish in the crease. It would be the ultimate glam autumn look! Drunk dial - this shade is definitely up there with Turn On! It's a super rich, metallic burgundy and it would be gorgeous over the lid or in the outer corners to deepen up a look. I can also see it being ran under the lower lashline for a bit of added drama. Privacy - I think that this shade is perfect for darkening the outer corners at this time of the year. While it's all good adding a bit of black, this brownish-plum matte adds just a touch of colour whilst deepening a look. For me, the formula of every shadow is great. 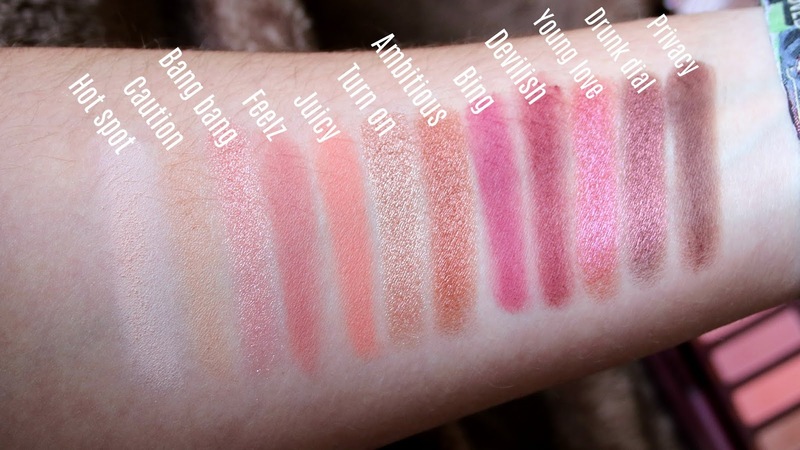 It's not uncommon for brands to struggle to produce good mattes that aren't chalky or patchy when applied, but all of the mattes in this palette are brilliant and I can see myself using them regularly (except from Bing, maybe). As for the metallics, they are absolutely out of this world. 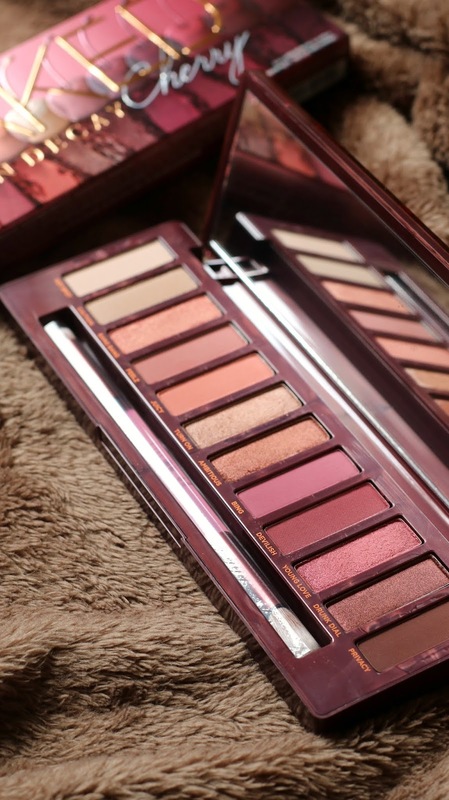 Urban Decay are brilliant at metallic shadows and the Naked Cherry metallics are no exception. Like I said, Turn On swatched like butter. It literally glided down my arm, didn't drag at all and left a solid, opaque swipe behind. Not all of them swatched exactly like this, but I had zero issues whatsoever and they are all stunning. What do you think of the Naked Cherry? Did you pick it up in the early access sale or will you be buying it when it's released? 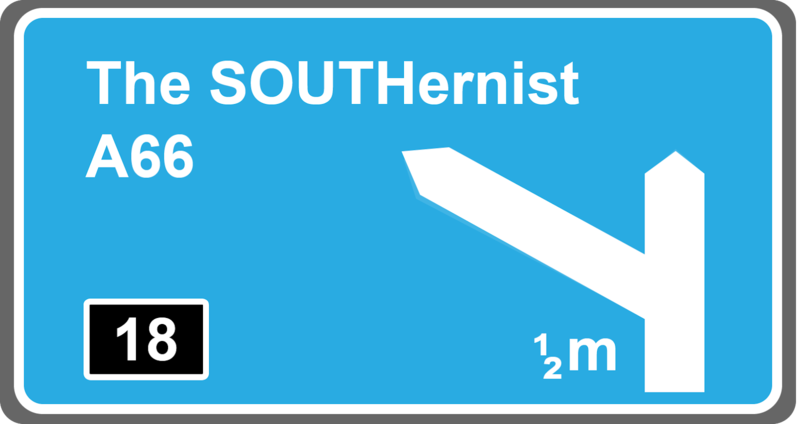 Oh, it is such a Pity they do not take the chance to be a bit more audacious about the colours. Ir this was a real cherry toned palette, I would offer in no time,but I feel it is a bit more strawberry themed? Anyway, I guess the quality is just the same?